SHAME ON YOU, CALLOUS ASSASSINS! Police pursuits: 3 teens killed, one in a coma, 3 others seriously injured… all in one week! Two boys aged 14 or 15 were killed after the car they were in crashed during yet another police pursuit, in Masterton early on Sunday. Hoani Korewha (left), 15, and Pacer Willacy-Scott (right), 14, were killed in Masterton during a police pursuit Sunday morning. Two other occupants of the car, also aged 14 and 15, received serious injuries. Masterton mayor Lyn Patterson said Wairarapa was a small community so everyone would likely know one or more of the victims. The chances are, if Wairarapa wasn’t such a small community, police wouldn’t have even reported the fatalities. Barely a week ago, Eden Nathan, 16, was murdered as a result of the police chase in the suburb of Mangere. The alleged driver of the stolen car, a 15-year-old girl, was critically injured and remains in a coma. Eden Nathan, 16, was killed in a car crash in Mangere during a police pursuit last week (January 24, 2016). The fatal crash occurred on Pouto Road in the Kaipara District, 15km south of Dargaville, about 3.50pm on Saturday. 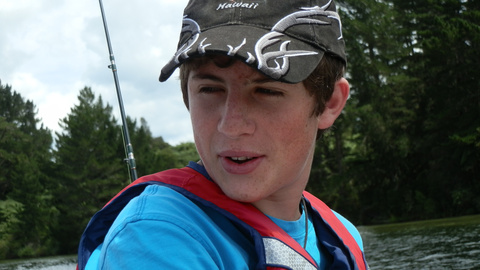 Parents of Greymouth teenager Matt Gunter, who died after medical staff botched a routine operation to remove his appendix in 2012, are frustrated with the coroner’s decision to suppress names of the individuals involved in his death. Matt, 15, had surgery on November 16, 2012, at Grey Base Hospital but his condition deteriorated and he was transferred to Christchurch Hospital, where he died three days later. On Wednesday, Coroner David Crerar closed the file on the case and suppressed all the names of the staff involved. 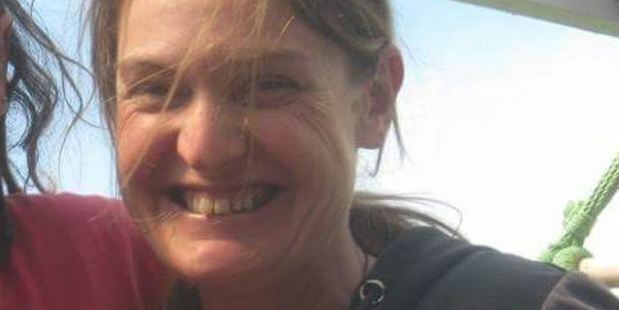 Matt’s mother, Heather Gunter – a nurse at Grey Base Hospital – told the Greymouth Star today that none of the staff involved with Matt’s care had shown any insight into what had happened. “None of them have ever said, ‘Yes, I understand what I did’, which means they have not learned from what happened or changed their practice,” Mrs Gunter said. Two of the nurses had been referred to the Nurses Council and an anaesthetist to the Medical Council, she said. Nothing happened. Moreover, none of the staff involved had been stood down t during the entire process. “They have all been working the whole time, as far as I am aware. Kiwis’ minds have long been made up for them: Don’t let the truth get in the way of tourism! Two people have been flown to Nelson and Greymouth hospitals after a van carrying six tourists crashed 10 metres down a bank on the West Coast. A truck driver was killed after his logging truck went out of control on Koropewa Road and crashed into a tree in the Far North about 3.40am Wednesday morning. Police have named a motorcyclist killed when he crashed into an oncoming car on a coastal road in Wairarapa south of Martinborough on Sunday. He was Marc Burgiss, 55. Police believed they knew the identity of the victim, a man aged in his early 20s, but fingerprint identification was needed to confirm that, Detective Sergeant Geoff Rudduck said. A woman [with near-fatal injuries] was airlifted from the scene of a multi-car crash on State Highway 5 near Napier. A woman who was hit by a car in Te Kuiti on Tuesday, remains in a serious condition. One was flown to Waikato Hospital in a critical condition and another was taken by ambulance to Thames Hospital in serious condition. The victim was pinned under quad bike for several hours. Missing engineer Simon Bell (33) was probably killed in a mountaineering fall, Coroner David Crerar has ruled. An Australian toddler drowned in a Wellington hotel in March 2014 after her grandfather left her unattended in a bath, an inquest has found. 23-month-old Leila Sofia Riquelme accidentally drowned when she was left alone in a filled bath at the Rydges Hotel. NZ’s Fucked Generation: Every year thousands of teenagers and adolescents, even children as young and five, are treated for drug or alcohol addiction. Kristina Renner, 21, died in hospital after being found unconscious at the Sunset Backpackers hostel in Mildura, northestern Victoria. An autopsy was unable to find a cause of death. Hamilton police say they are seeking a man wearing hi-vis orange overalls after he attacked a woman [raped/molested/physically assaulted her?] as she walked to work on Hood St shortly after 6am yesterday. Chief Justice Dame Sian Elias cows seen drinking and defecating in Lake Taylor. A herd of cattle photographed standing in Lake Taylor, about 50 kilometres northwest of Hawarden, Canterbury. The cows belong to Chief Justice Dame Sian Elias and her husband, businessman Hugh Fletcher. Holidaymaker Allan Brown snapped the photo last week. He has since lodged a complaint with Environment Canterbury (ECan). ECan’s Land and Water Regional Plan allows stock access to lakes, rivers and wetlands, but only under strict conditions. One of them is that cattle can not stand in a lake. Fish and Game spokesman Don Rood said the photo was “not a good look”. The site was close to a Department of Conservation camping ground. Would Chief Justice Dame Sian Elias and her family be allowed to do this, if they lived in France, Israel or another country? The deaths of two Korean tourists on the West Coast is a further example of tourists needing to take responsibility for their driving, a coroner said. Sung Young Mo and her husband Kim Chil Young were killed on December 30, 2014, after crashing through the side of the Wanganui River bridge near Harihari, in Westland. The Hokitika man who was killed following a collision between a car and his mobility scooter has been named as Robin Laurence McMurtrie. 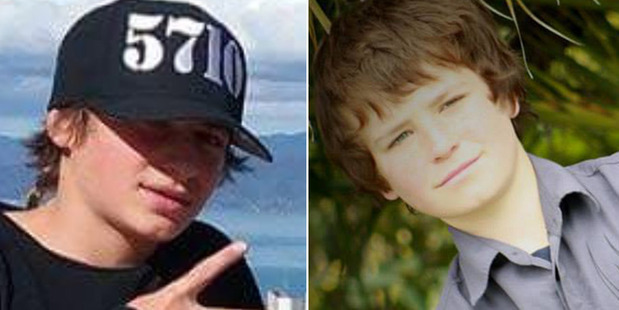 A coroner has described as unsafe a stretch of Wairarapa road where two teenage brothers were killed in a crash. The road may have contributed to Samuel James Hamilton Donald, 19, running his SUV off the road and colliding with a tree in 2014, killing himself and his 15-year-old brother, Angus George Johnson Donald. 33-year-old Dr Lailade Osunsade (known as Laila), a New Zealand resident, drowned in Vanuatu. The fatal spot was the sunken American liner called the SS President Coolidge. Muay Thai fighter mother of three, Ariana Brown, originally from Motueka, was killed in a motorcycle crash, Thai police said. Mum left with two broken legs shielding daughter from crash in cake shop! Firefighters extracting a woman entangled in a shattered cake display initially didn’t realise there was also a 6-year-old girl trapped after a car slammed into them while standing in a Whangarei shop. 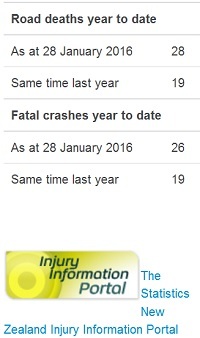 As of Monday 25, January, the summer drowning toll stood at [at least] 28. Eden Nathan of Mangere was the 16-year-old who was killed after an alleged stolen car she was travelling in crashed into another vehicle during an early-morning police chase in south Auckland. The 15-year-old girl driving the car is fighting for her life in Auckland City Hospital. Driver of the other vehicle was also injured. Both vehicle were wrecked. 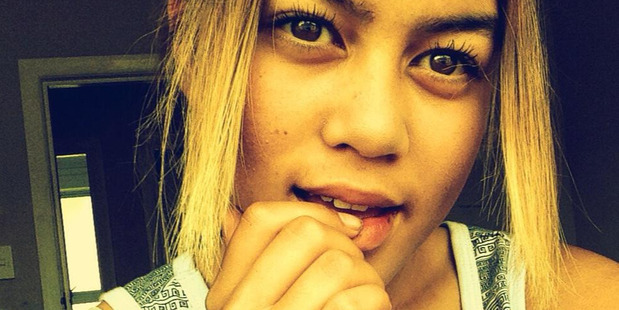 Eden Nathan, 16, was killed in a car crash in Mangere during a police pursuit. How do the assassins go to sleep at night knowing they have wantonly killed a 16-year-old? A teenage girl was killed and another is in critical condition after their allegedly stolen car collided with another vehicle during yet another fatal police chase in south Auckland on early Sunday morning. In the latest police assassination scenario, the “fleeing” car reportedly crashed into an oncoming vehicle on Buckland Rd, Manurewa (south Auckland). The other driver, whom the police claim they were trying to protect, was injured in the crash. Police pursued the fleeing driver [believed to be armed and dangerous] for around four minutes. They lost sight of the vehicle and when found it again it had crashed. What did the police assassination squad achieve in South Auckland? They killed a 16yo girl, and left another teen near-fatally injured. They left another member of the public injured, and at least two cars totally wrecked. Additional damage probably occurred, but not reported. This is what they call proactive policing and a win-win outcome! Canterbury artist Mike Glover, of Springston, has designed a “protest sign” aimed at the Selwyn District Council to take action on improving Selwyn’s heavily polluted waters. Glover’s 10-year-old daughter cannot swim at the river, because swimming is not permitted there. “A whole generation of kids is growing up thinking the swimming pool is the place to swim as the river is too polluted,” he said. Surely, the water in Marlborough Sounds is 100% pure and green? Marlborough Sounds shellfish: one bite on the fish and you are a vegetable! The Ministry for Primary Industries has issued a public health warning after routine tests of shellfish samples at Onapua Bay, in the Tory Channel, showed unsafe levels of Paralytic Shellfish Poisoning. Mussels, oysters, tuatua, pipi, toheroa, cockles, scallops, catseyes, kina and all other bivalve shellfish should not be eaten. Paralytic Shellfish Poisoning could cause symptoms between 10 minutes and three hours after eating, the warning said. Symptoms could include numbness and tingling, difficulty swallowing or breathing, dizziness, nausea, vomiting, diarrhoea, paralysis, respiratory failure, and in severe cases, death. Just two road murders in three days? 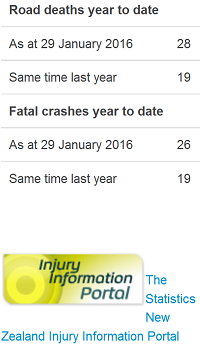 Blog estimate: At least 52 road fatalities have occurred in NZ since 1 January 2016. What kiwi schools don’t teach: true democracy! True democracy means not having to go to prison because you can’t pay back student loans! Note to kiwi teachers: The system is rigged and therefore undemocratic when a tiny fraction of people own 99.9% of the wealth, while the rest of the population have to fear prison because they cannot pay back student loans. New Zealanders who live abroad are worried they might go to jail if they come back to the country because of unpaid student loans. A Cook Islands math teacher was detained at Auckland Airport on Monday after owing $22,000 to the Inland Revenue Department. A 38-year-old New Zealand man currently living in the Middle East, who did not wish to be named, said he made compulsory repayments when he was in the country, but hasn’t made any since he left 13 years ago. The last time he saw his loan balance it was around $80,000. He doesn’t know how much his student loan is now but says, “In my mind it’s eleven million dollars”. He hasn’t heard from IRD directly, but said the department contacted his mother, coincidentally just after she was diagnosed with cancer. There are 111,000 borrowers overseas, with about 70 percent of them defaulting [unable to pay back?] on their loans, according to the report. China would likely reject water from Avon River, too! Christchurch rowers train in an effluent-filled Avon River, according to a report. It’s “disgusting” that Christchurch rowers train in the Avon River, which has sewage streaming into it, says Rowing New Zealand president John Wylie. An Environment Canterbury (ECan) report released in December found Kerrs Reach, where the rowers train, and the Heathcote River’s Catherine St site were polluted by human faeces while at a base flow level. Other river area’s had human faeces travelling through after high rainfall and often exceeded recreational guidelines during base flows, the report found. “Rowers are seeing [sewage] all the time. We have no option but to go out in it,” Wylie said. NZ’s 100% clean and yellowish green “miracle water” contains 40 times more nitrate than even the Chinese allow in their diet. Thanks to our state-of-the-art fertilizers, industrial dairy farming and tourism, all of which produce millions of tonnes of feces that we carefully spray EVERYWHERE, in order to scientifically dispose of, our best drinking water contains at least 40 times more nitrate [among googols of other colourful goolies,] than even the Chinese care for. Different reasons given for our “clean and yellowish green miracle water”. 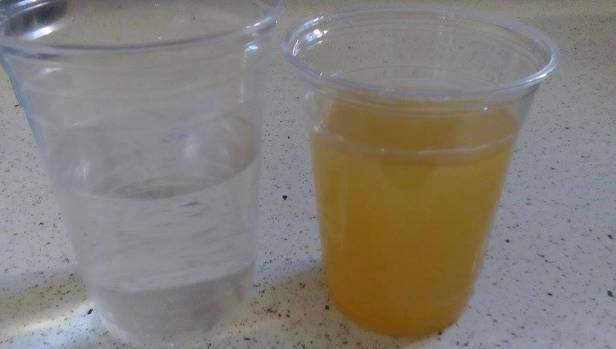 Tap water in parts of North Canterbury has been described as “crunchy” and has reportedly caused plants to die and people’s hair to fall out. Affected residents say the odour and taste of the water makes it undrinkable, and it has been anecdotally linked to diarrhoea, stomach pain and rashes, particularly in children. New water bottling company Miracle Water, near Hastings, sent its first shipment of drinking water to China late last year. Company spokeswoman Louise Harvey said on arrival in China the water, which is drawn from the Heretaunga Plains, was found to contain nitrite levels too high for the local market.